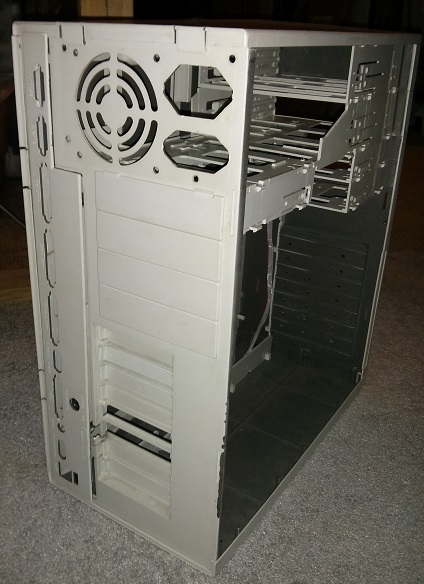 Well, a few months ago, I was watching eBay, trying to get my first NextGen Amiga motherboard (an Eyetech AmigaOne XE), when I spotted something interesting: An infinitive case with an A1200 motherboard installed. It was missing a side door as well as a front plastic panel. 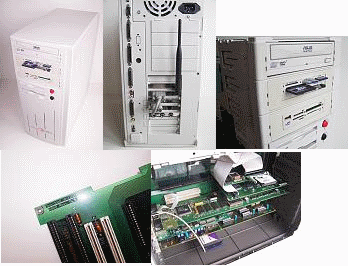 It did have a rev 2B motherboard, and the case had a PS/2 keyboard, and a powersupply with adapter. 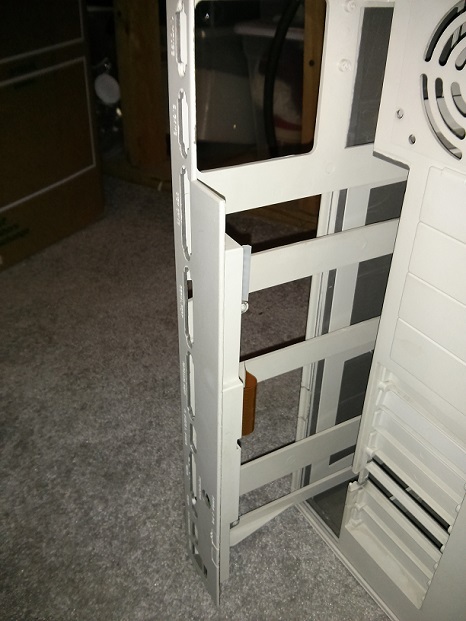 It did come with a floppy drive and a RAM/FPU expansion, but no harddrive. Using my old 1084s, I could get the system up to the “insert floppy” animation. I didn’t have any Amiga floppies left though. Okay, I realized that I have collected enough parts of the past year to be able to start on my next Classic Amiga Project: an A1200T. 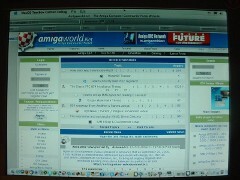 As I mentioned early in this blog site, my first Amiga was an A1200. Just before I sold it, I had wished to be able to towerize it. Back in 1996, there weren’t many options to do this, unless you wanted to break out plastic and metal tools or pay huge $$$’s to a company that was most likely overseas. 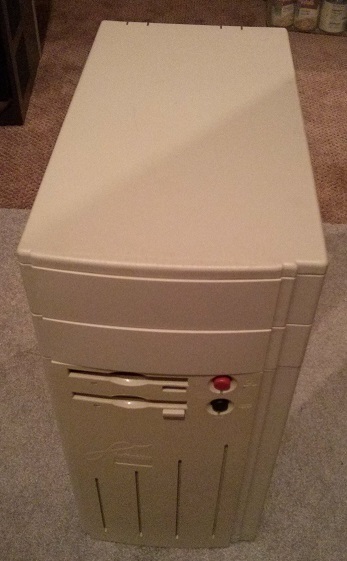 This dream machine was listed for about $4k on US Ebay for a long time. I don’t think he ever sold it, due to the high cost but it was quite a machine in any case. My goal was to try to make something similar using parts I had or would acquire soon. I doubted, when I started this, that I would get a PPC card with Amiga OS4.1, but something good and classic running the latest Classic 3.9 would be enough. So, with the proceeds of the sale of my 2nd Amiga 4000T in my Paypal account, I set out to see what I could find. 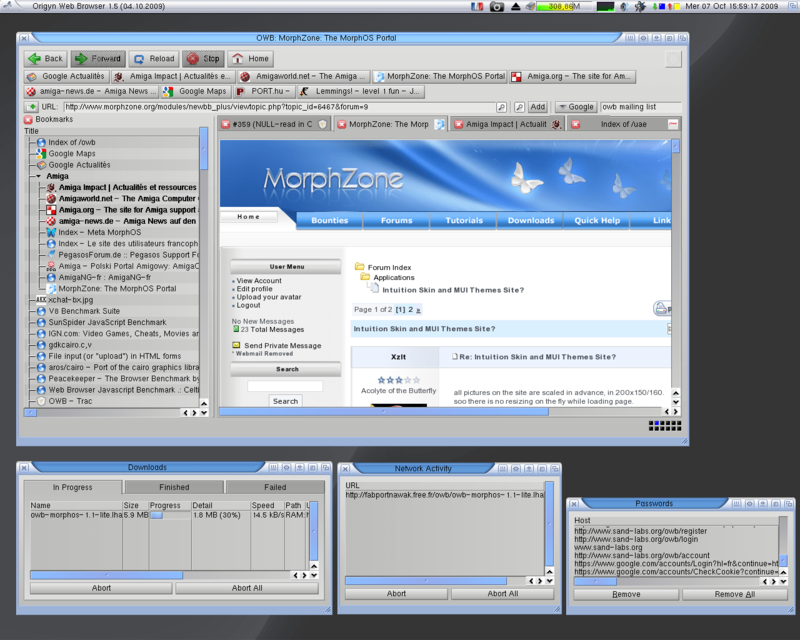 It appears that the MorphOS team is pushing forward with another fine release of their PowerPC, Amiga-like OS: 3.5.1. The 3.5 release that showed up a few days ago had a flaw on boot-up for some machines so they quickly put up version 3.5.1 as a quick-fix release. I do believe that the MorphOS team has made a wise decision over the past few years of supporting the Apple PowerPC machines. This, combined with their free (for 30 minutes at a time unless you register) OS, plus easily available (on ebay/craigslist, etc) and inexpensive PowerPC machines, gives potential new users a very easy and cheap way to experience Amiga NextGen. Their support of the Apple G5 PowerMac machines actually make their vision of Amiga NextGen faster than Amiga OS4 on even the x1000 AmigaOne machines by A-Eon. 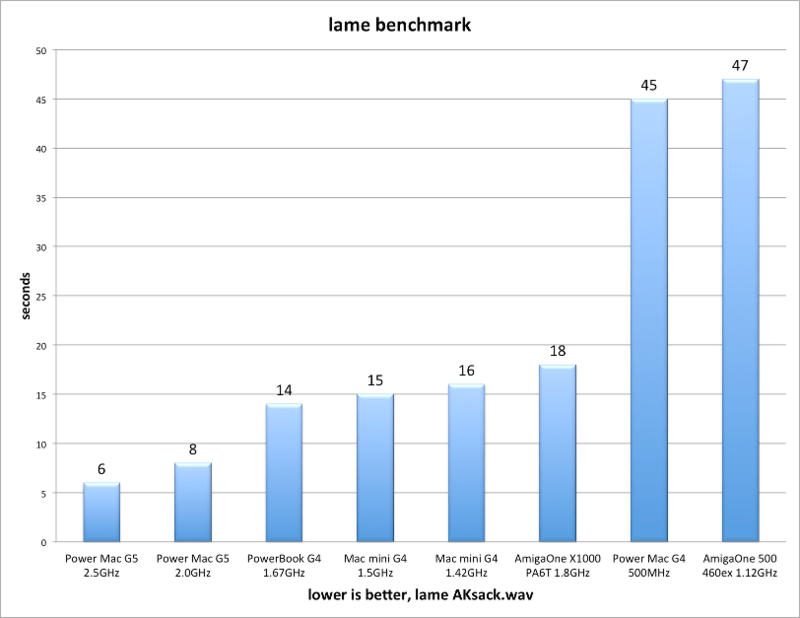 The benchmarks show the PowerMac G5 2.5Ghz machines crushing everything else, including the 1.8Ghz AmigaOne x1000's. 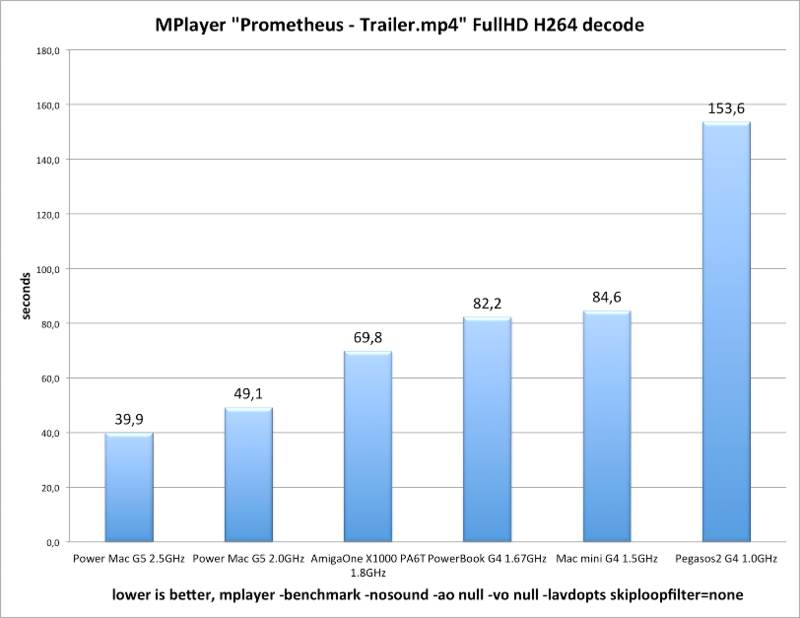 It’s also good for Hyperion to have some PowerPC competition. Now, step up to the modern era of web browsers for Amiga. After going over the software that has been around since the 90’s, let’s look at what we have avaiable today. There is both Amiga OS4.x and OS3.x versions available. The OS4.x version is farther along at the time of this writing. You can see its webpage –> here <–. I had read that the classic version needed to be run on RTG-equipped Amigas, but some enterprising developers have made AGA-optimized versions of SDL that allow it to run on AGA classic machines with reasonable speed. 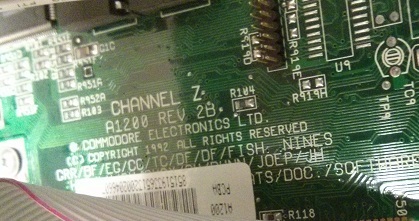 I believe that the latest versions are available over in “The Zone!” section of the English Amiga Board (eab.abime.net). You’ll need membership access to reach that section though. This is one of the two best, modern browsers you can get on classic Amigas, and the OS4 version is well respected. Time will only make this one better as the development is constant on the mainline code. As for it’s capabilities: it was a mixed bag. Some reported that it was almost usable, but the screenshots I’ve seen showed that it’s CSS rendering was still very much a work-in-progress. If the developer had more time and resources, it might have turned into a serious contender. As it is now, it appears to be an abandoned effort. It appears to be only compiled for 68k but tested with PowerPC machines in compatibility mode. The Orygin Web Browser was another attempt to make a web browser that could handle modern web technologies but still be able to work on low-resource devices. This made the Amiga a good candidate to receive a port. OWB has been ported to AROS, AmigaOS4 and Amiga OS3.x. It seems to be based on code from the 2009-2010 era but still very usable. On OS3.x on Classic machines, I believe it also depends on SDL and RTG technologies. For classic machines that can handle the requirements, it is probably the best browser available. As mentioned above, for AGA, non-RTG Amigas, Netsurf 68k is still probably the best. Orygin’s renderer is based upon Apple’s WebKit (which itself is derived from the Konqueror KTHML web-browser for Linux). Even though the versions for Amiga are based on versions of WebKit from a few years ago, it is still very capable. I didn’t mention a MorphOS version due to the evolution of OWB in the MorphOS world (continued in the Odyssey section below). Timberwolf is the VERY LONG awaited port of FireFox to the Amiga. There have been attempts to do this since Mozilla went open source in 1998. Many attempts started and failed. Apparently, there was a lot of infrastructure needed to make it work. Bounties for porting it sat unclaimed for years until 2012 when the Frieden brothers finally got FireFox 4 ported over into a beta test version. It is FireFox and it works but it is a bit slow and only available for OS4.1. On my Micro-A1C, it can take several minutes (up to 10) to even get past the splash-screen to the browser. Until a more fully developed version comes along, I will continue to use alternatives. However, this was a great achievement to finally get the mighty FireFox for our system. Lots of memory and the fastest CPU are recommended. At the time of this writing, the King of Amiga browsers has got to be Odyssey. For a long time, it was only available for MorphOS, but has lately been getting Amiga OS4.x ports, after a lot of negotiation with the main developer as well as a hefty bounty to port and open the source up. It was originally derived from Orygin Web Browser, but the author admits that, over time, he’s been replacing many portions until now, very little of the original OWB is left. It is, confusingly, still called OWB by the author and uses an icon very similar. What makes this one the best of the current crop? Basically it comes down to the fact that it keeps up with the latest in web technologies. The author (“Fab”) manually integrates new versions of Apple’s WebKit (the core of their Safari browser) into this code throughout the year. Also, he’s improved on things from the original OWB. For example, there is a real download manager window that the old OWB didn’t show. His was also the only version of an Amiga Browser that could play embedded videos (HTML5 type) when other Amiga Browsers had to launch external players. Now that there is the porting to Amiga OS4.x, and the opening of the source, there will probably be an AROS port and more improvements and contributions by the developers in the Amiga World. Amiga OS4.x users will first need to get to the latst code to get the MUI4 port before they can run the new versions. As of this writing, the latest version of the Amiga OS4 port of Odyssey isn’t quite up to date with the latest MorphOS version but they should soon reach parity. Amosaic: The first graphical browser of any popularity was Mosaic in the 90’s. I believe both Netscape and Internet Explorer were derived from this project. 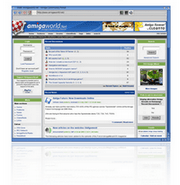 There was an Amiga port called AMosaic that was used widely in the mid to late 90’s before others came along. I believe it used Amiga datatypes to render images and play sounds.